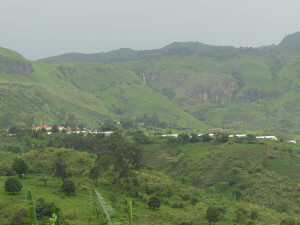 Donald Meier, M.D., professor in the Department of Surgery, Texas Tech University Health Sciences Center El Paso, and his wife Patsy recently traveled as medical volunteers from March 27 to April 11 to the Mbingo Baptist Hospital in Mbingo, Cameroon, in West Africa. This is his first person account of his medical mission. 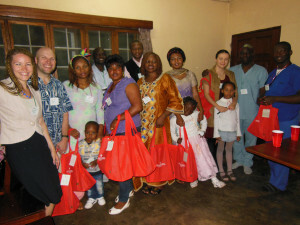 This was our third volunteer experience at this particular hospital, so we did not have many surprises. Our purpose in going was to participate in the ongoing training of African general surgery residents in the PAACS (Pan African Academy of Christian Surgeons) residency training program. This program is one of 13 programs in Africa designed to provide high quality surgical training for African doctors so that they will remain in Africa and practice in underserved areas of Africa after their training is complete. 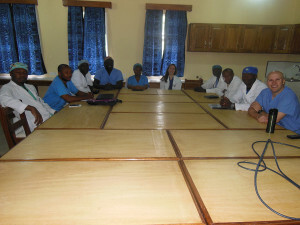 The program is very competitive, just like American surgery residencies, and results in Board Certification by COSECSA (College of Surgeons of East, Central, and Southern Africa). My chief purpose in returning to this hospital is to aid in the overall training in this residency program. I do this as a visiting professor of pediatric surgery. This involves direct patient care in outpatient clinics, many cases in the operating room, and lectures to the residents on common pediatric operative problems. In each of my lectures I teach them how we manage the conditions shown through slides in our U.S. practice and how I recommend that they manage these problems in their resource-limited hospital. The lectures are deliberately designed to be informal, and as a result we have plenty of time for the interchange of ideas. All operative procedures are performed with the African doctors as primary surgeon and myself as the supervising/teaching faculty, the same as many of our cases in the U.S. are performed. The majority of the cases that have been saved for me to do are children who are born with anorectal malformations or Hirschsprung’s disease and who underwent colostomy when the diagnosis was made. 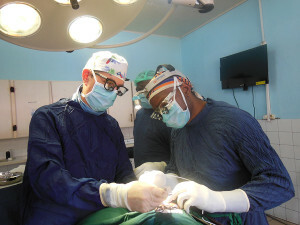 I am then able to take the African doctors through the definitive procedures for these complicated problems and after I leave they are able to perform the procedures well after I have returned to El Paso. In fact after I returned this time I was informed of two major procedures that they were unable to perform before I came that they successfully performed the week after I left. It always makes me feel good when I work myself out of a job! My wife Patsy is a retired operating room nurse, and she serves a phenomenal function in training the perioperative staff in proper OR technique and particularly how to take their limited supplies and use them more effectively. We both teach them how to improvise when they don’t have the equipment and supplies that we take for granted in the U.S. In addition to our time as teachers, lecturers, and providers of quality patient care, one of our favorite activities is the time we spend getting to personally know the residents and their families. Each time we go to this hospital, we prepare a banquet in the duplex in which we reside. Usually we take along a few sacks of tortillas and provide a Mexican Fiesta for the group. This year we switched to Italian food. After the dinner we ask each of the residents and each spouse to individually tell us from where they have come, and what their dreams for their future are when they leave the training program. 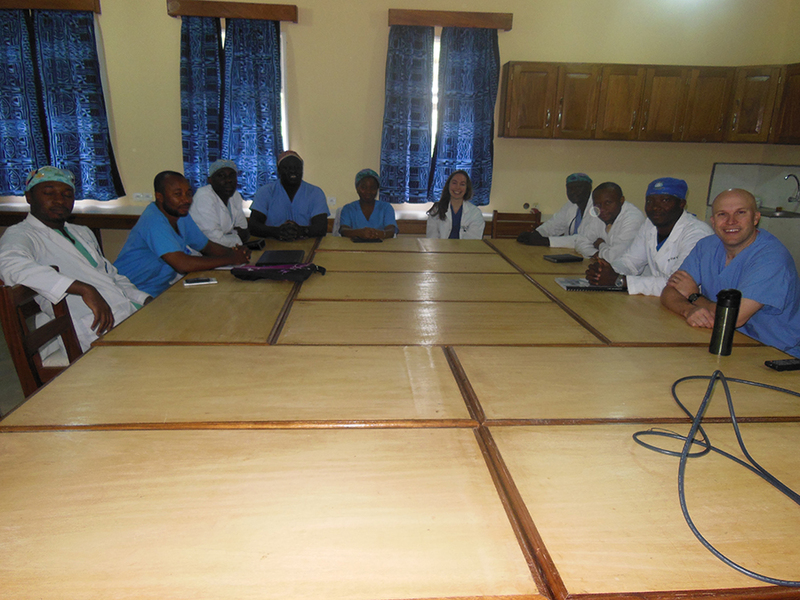 This is a very touching experience to hear the hardships that they have overcome to get to this place of training and their dedication to serve as deliverers of quality surgical care in under-served, remote areas of Africa when they complete their surgical training. The highlight of the banquet evening for the African families this year was when we handed out TTUHSC El Paso red tote bags provided by TTUHSC El Paso for us to give to them.